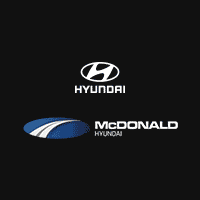 If you’re in search of OEM Hyundai parts for your Hyundai vehicle, you can turn to the Hyundai parts center at McDonald Hyundai to find exactly what you need. Whether you’re looking for a Hyundai oil filter, new brake pads or a new set of headlights, we have the genuine Hyundai parts your car needs to drive smoothly around Littleton, Denver and beyond. Head to our Hyundai dealership in Littleton, CO, to browse the OEM Hyundai parts we have in stock. Don’t see exactly what you’re looking for? Ask one of our service technicians for assistance and they can point you in the right direction. If you don’t find what you need is available, our online order form makes it easy to request the parts your Hyundai needs. For expert advice and top-of-the-line OEM Hyundai parts, visit us today.